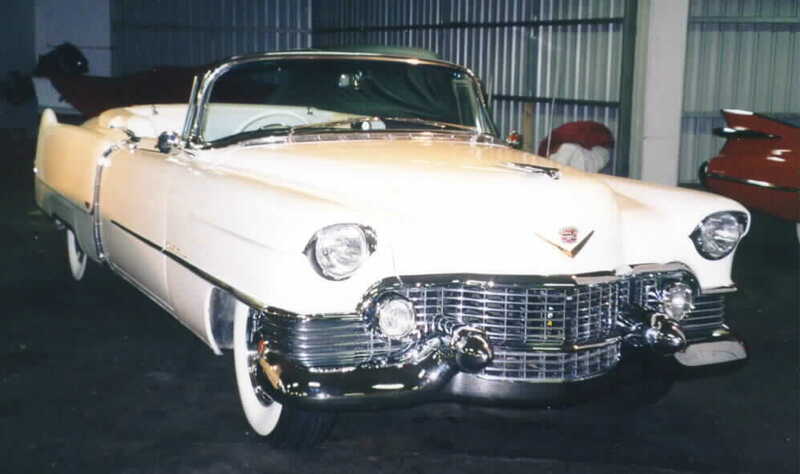 Paul's 1954 Eldorado Convertible arrived in Australia in 1996. Previously it was a one family owner car with 69,000 miles, and stored in a barn for 28 years. Now it is converted to RHD and earning it's keep as a wedding car.